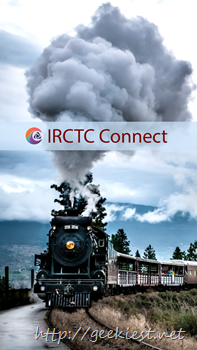 At last here is the official Indian Railway Catering and Tourism Corporation application for the Android devices named IRCTC connect. The application is really easy to use. It will help you find and book trains. Good But Not Satisfactory: 1st issue, does not remember the login details even though ticked to remember. 2nd issue, not synchronize with website, not shows the booking done through website & the major issue, do not allow to do transactions from 8.00 AM to 12.00 AM, not getting why such policy by Indian Railways Need to improve a lot. The 8.00 AM to 12 .00 AM restriction seems to be a big problem, hope they will resolve it fast.